3. an education program tailored to the needs of rural generalist practitioners. SARRAH has also produced a flyer which is available here. A range of templates are also available to support health services and commissioning bodies to implement allied health rural generalist training positions. The templates are available from SARRAH on request. Health services can also contact SARRAH for advice and support to develop and implement allied health rural generalist training positions. 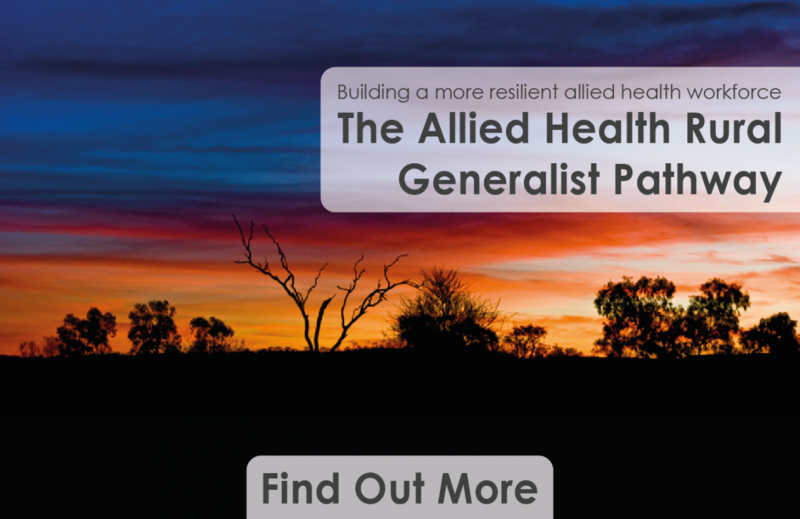 Please contact SARRAH if you require more information on the allied health rural generalist pathway. A rural generalist education program for seven professions was launched in May 2017. It is delivered by James Cook University. For information on the Rural Generalist Program visit the JCU website.